Lost in the Movies (formerly The Dancing Image): TWIN PEAKS First Time Viewer Companion: S1E1 "Pilot"
TWIN PEAKS First Time Viewer Companion: S1E1 "Pilot"
On this viewing it was the style of the filmmaking that most intrigued me. It's somewhere between cinema, with it's leisurely pace and sophisticated technique, and old-school TV, with its practicality and general lack of glamor. Whenever I start Twin Peaks from the beginning I'm always struck by how calm, measured, and patient this episode is. It's not my favorite (it's up there) but it might be the most perfect. The narrative development is expertly plotted (presumably by experienced TV hand Mark Frost, who co-wrote it with David Lynch), and the atmosphere is exact and evocative (the location is palpable in every shot - even the interiors), but also economical. There isn't much camera movement, aside from the functional pan here or there: the frame is very fixed and painterly. 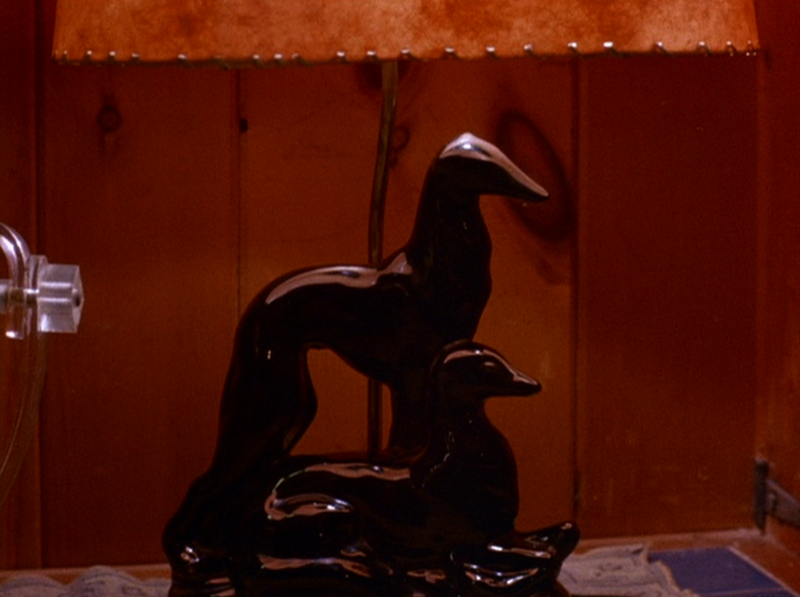 Much of Lynch's early work shares this quality (his later films are much more impressionistic and fluid). There are so many wide shots, rather perversely in an era of small, fuzzy TV sets, so we get a full sense of various rooms and outdoor panoramas, but individual shots often don't seem very exploratory (by which I mean our attention is concentrated on the center of action and primary object/character - this is very focused filmmaking). Long takes tend not to announce themselves (it took me two or three viewings to realize Lynch never cuts in the scene when Bobby is arrested). New viewers often comment on the volume - in both senses - of music but what struck me this time was how frequently Lynch allows scenes to play out without a score, creating mood through ambiance, room tone, and stretches of silence. Do you feel enthusiastic/committed about the show already? What, if anything, gives you reservations? Based just on the pilot, how would you describe Twin Peaks in a few lines? Do you think it can be? What are you anticipating going forward, in terms of style, story, quality, or anything else? Who is your favorite character? Your least? Why? Are you intrigued by the mystery of Laura Palmer? Do you care who did it, or are you more interested in other aspects of the show? Do you have any primary suspects? How do you feel about the music, the performances, or the style of the show? Does it play to you like a soap opera? A parody? Something in between? I you weren't hooked by the opening credits, but were by the end, what was it that grabbed you?